Little, Brown Books for Young Readers, 9780316985642, 32pp. Rhyming text depicts the chaos caused by shouting at the zoo. 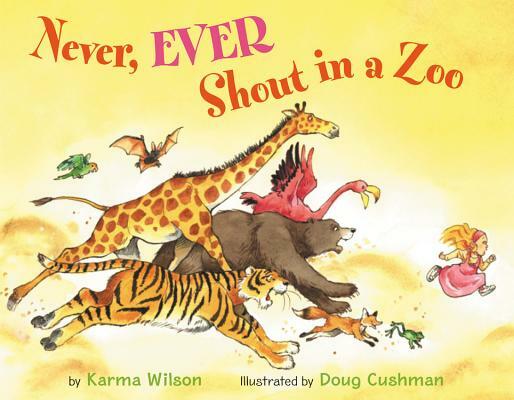 Karma Wilson is the author of Bear Snores On, a recent New York Times bestseller, winner of the Oppenheimer Toy Platinum Award, and an ALA Notable Children's Boook. Doug Cushman is an award-winning illustrator with over eighty books to his credit, including the popular Aunt Eater series and the New York Times bestseller What Dads Can't Do.